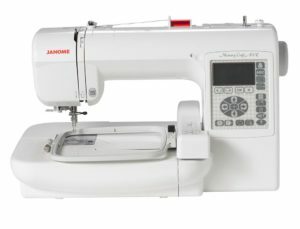 The Memory Craft 200E comes with the sturdy design characteristic of Janome, hence users will enjoy of a totally stable machine even when embroidering at full speed. It also boasts of a generous embroidery area so you’ll be able to work on bigger than average embroidery designs. Since its so affordable in comparison to other Janome embroidery machines, this particular model is very often used by beginners as a starter machine before purchasing a more expensive model. It also has the added advantage of being easy to use. Because itâs entirely built for comfort, it even comes with additional features like automatic needle threader, automatic thread cutters and the likes. 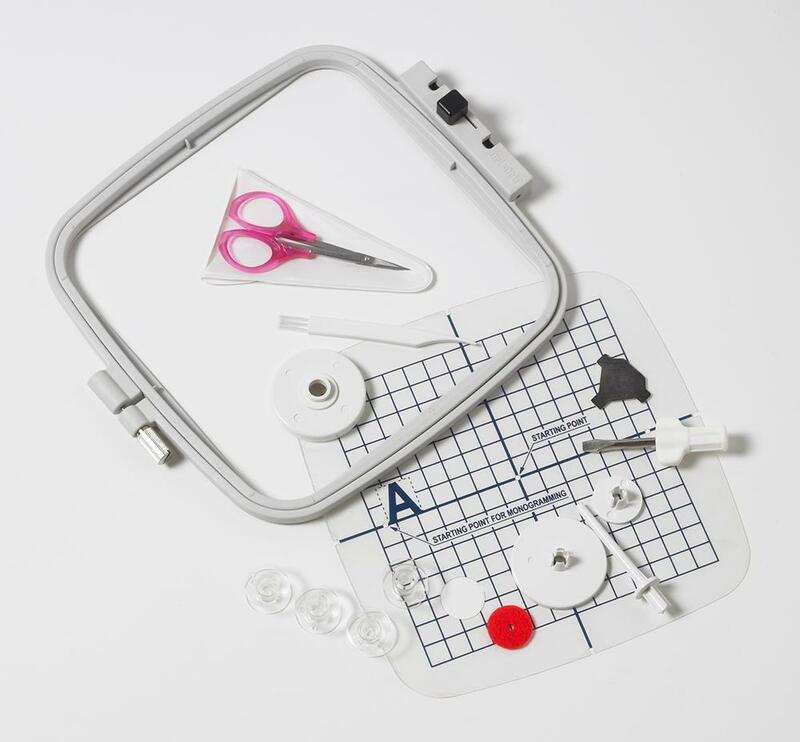 Users also receive a series of free accessories to facilitate the embroidery process. Admittedly, beginners might feel somehow confused a first because of the digitalized features. Still, once you get the hang of it, this model is quite easy to operate, and once you get used to it, the computerized function can make the embroidery process even easier since you can simply swipe your finger across the touch screen to activate a wide number of handy features. For instance, you can very easily use the LCD screen to shuffle between the machines numerous built-in designs. Thanks to Janome customizing and digitalizing software, you’ll be able to quickly edit your embroidery designs by rotating them or mirror-image them. 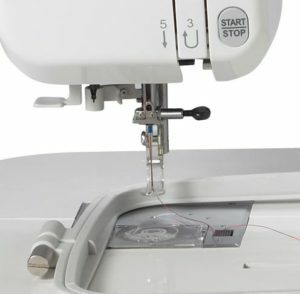 To help you finish your project as quickly as possible, this model also includes an automatic needle threader: therefore, you simply have to swipe your finger across the screen and the machine will automatically guide the thread through the eye of the needle. If you like creating your own design, you will be glad to learn that the apparatus boasts of a 700KB built-in memory system that can help you save up to 100 extra patterns. You can also access all your past information by searching for the summary on the touch screen. This not only provides you with a complete list of patterns that you’ve worked with in the past, but the summary feature even provides you with helpful information such as the size of the design, the number of days you took to complete it last time and even the amount of colors required. For a Janome embroidery machine, the Memory Craft 200E is quite affordable and versatile. Indeed, it is way cheaper than the Janome 350E and the Memory Craft 11000 and still manages to offer a nice array of features. Best of all, its quite easy to use, so this is a perfect model for any beginner that want to enjoy of a solid and user friendly machine.